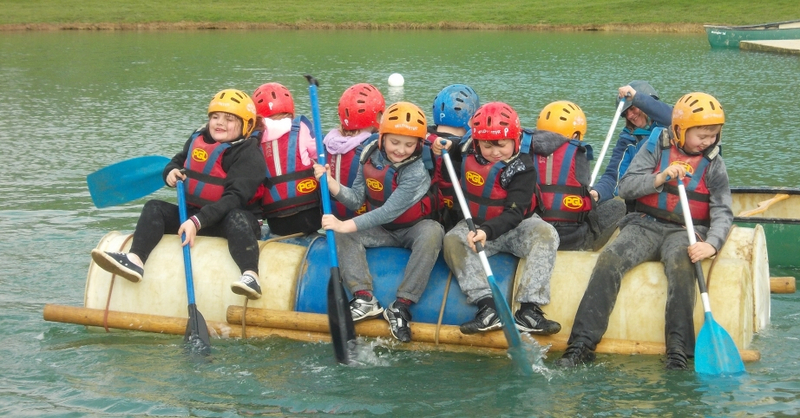 At the start of term Year 4 went on a residential visit to PGL Caythorpe in Lincolnshire. They had a fantastic time testing their courage, resilience and determination to conquer their fears and try new things. This included climbing on high ropes, abseiling down the climbing tower and taking the ‘leap of faith’ from the high platform to the net below. They tried a range of new skills including archery and rifle shooting. They tested their ingenuity, creativity and team building skills by building a raft and trying it out – and yes they did all fall in! A great time was had by all – even the staff enjoyed it; except for the lack of sleep. 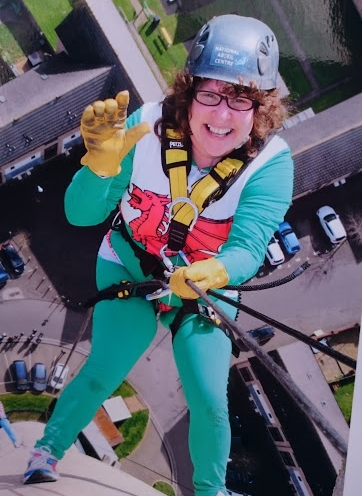 Ms Donaghey abseiling down the Northampton Lift TowerOur value for April is Courage; mostly ably demonstrated by Ms Donaghey who abseiled down the Northampton Lift Tower to raise £300 for charity. Well done! We are delighted to announce that Year 6 have been awarded Master Class status by Renaissance Learning who manage the Accelerated Reader programme. This is a rare and prestigious award which only 12 primary schools nationally have achieved so far this year. This award recognises the children’s achievement and dedication to reading. Every child reads for an average of 25 minutes a day and consistently achieves 90% plus in the comprehension quizzes. All the Year 5 and 6 children entered the Radio 2 Chris Evans short story writing competition. There were over 123,400 entries. We are very proud that two of our students, Hermione and Sam, have had their stories shortlisted for the final.